Report: YouTube’s Alt-Right Content Is As Popular As Its MusicFor years, employees warned executives about prioritizing engagement above all else. A Dispute on Twitter Illustrates the Insanity of Copyright LawThe current architecture favors those with time and money to burn, not individuals who get ripped off. FuckJerry’s Success Is Instagram’s FailureInstagram has known about the popular meme account for years — and done nothing about it. ‘Creators’ and the End of Online LeisureA single word has distorted the way users and platforms interact. 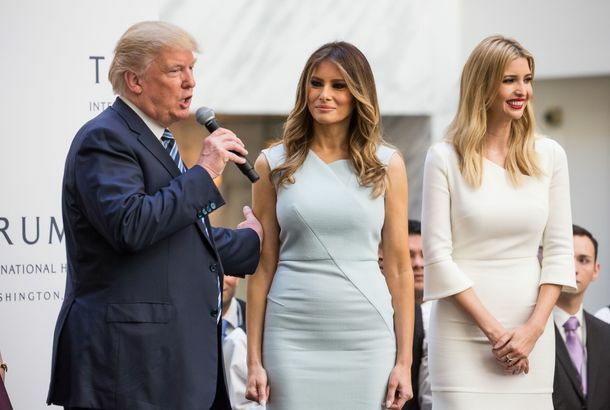 Here Are All the Shameless Ways People Is Pandering to the Trump FamilyThis is a 180 since the days they spoke out on behalf of their reporter who says she was sexually assaulted by Donald Trump. In the Future, Everything Is an ExclusiveSubscription services are cutting deals left and right. The IOC Wants to Ban GIFs of the Olympics, Which, Ha, Good LuckContent always finds a way. Wikipedia Asks Public for $16 Million to Stay Free-to-UseLast year’s fund-raising drive raised only $8 million.